Myth #1: Pasta is from China. False: Marco Polo introduced pasta to Italy from China? A legend, helped along by the 1938 film, “The Adventures of Marco Polo” starring Gary Cooper, which took literary license in depicting the great traveler bringing spaghetti to Italy for the first time (around 1300). 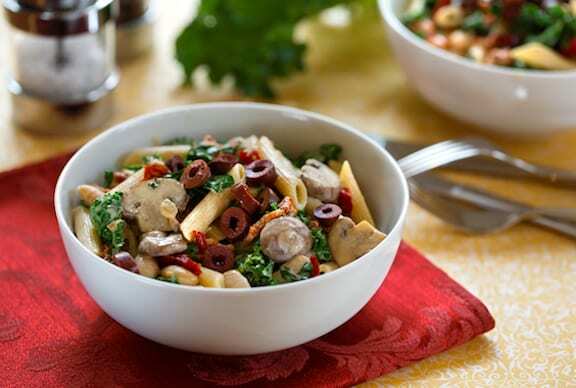 In fact, pasta dates back to ancient Etruscan civilizations. Ancestors made pasta by grinding several cereals and grains and then mixing them with water before cooking the mixture into a tasty and nutritious food product. The Italian version of noodles – spaghetti made with durum wheat – had been produced in Sicily for two centuries before Marco Polo made his way back from China. 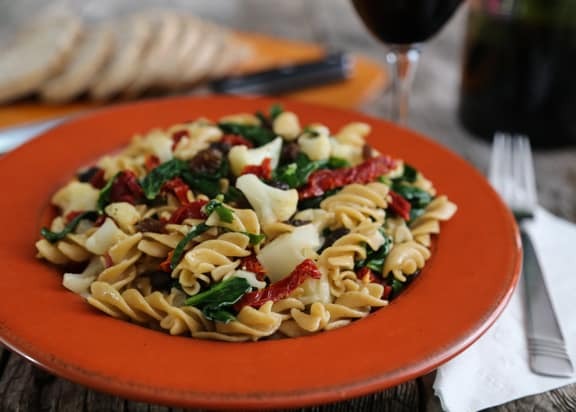 Shown above: Pasta Twists with Cauliflower and Spinach. Myth #2: Pasta makes you fat. False: Pasta does not make you fat. With the right portions and ingredient partners, pasta can be part of a healthy diet that you follow for the rest of your life. Pasta is at the core of the Mediterranean Diet – recognized by nutritionists as one of the world’s best eating patterns – and successful at weight management since pasta is often combined with fresh vegetables, tomato sauce, olive oil and small portions of legumes and other lean proteins. Portion size is a key factor in weight management: A healthy serving of pasta for an adult is one-half to two-thirds of a cup of cooked pasta. As an added bonus, the starch present in pasta is digested very slowly, so it provides a prolonged feeling of fullness. To those who think that pasta is fattening, consider that Italians eat three times more pasta than Americans, yet the adult obesity rate in in the U.S. is three times higher than in Italy. Shown below: Pasta, Greens, and Beans in Creamy Cashew Sauce. Myth #3: White colored foods have no nutritional value. False: Contrary to popular belief, lack of color does not indicate lack of nutrition. Think of natural unprocessed white foods like cauliflower, onions, turnips, mushrooms, white beans, and white potatoes – they are all nutrient-dense foods that are welcome in a balanced diet. Traditional pasta falls in this category and is a healthy food choice, containing important nutrients like folate and iron. Also, pasta cooked “al dente” has a low Glycemic Index (GI) with a better impact on blood sugar. For additional health benefits such as greater fiber and essential nutrients, there are a number of delicious whole grain pasta options on the supermarket shelf. And don’t forget to add color by loading on the veggies. 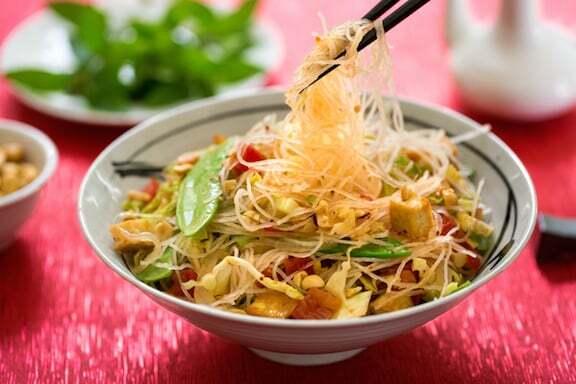 Shown below: Vietnamese-Style Bean Thread Noodles. Myth #4: Gluten-free pasta is healthier. False: Celebs like Gwyneth Paltrow and Victoria Beckham brought gluten-free diets to the forefront. Yet, while sufferers of celiac disease, an autoimmune reaction to gluten in individuals who are genetically susceptible, must adhere to a strictly gluten-free diet, the rest of us don’t. Keep in mind the group that must avoid gluten is small (1 in 100 people suffer from celiac disease). For those pursuing a gluten-free diet in hopes that they will lose weight, celiac authority and assistant Harvard professor Dr. Daniel Leffler warns that the opposite effect is just as likely and that adhering to a gluten-free diet is often associated with weight gain. Therefore, gluten-free products aren’t necessarily the answer. In addition, gluten positively impacts pasta quality and gives it a specific texture, making it firm to the bite (“al dente”) after cooking. 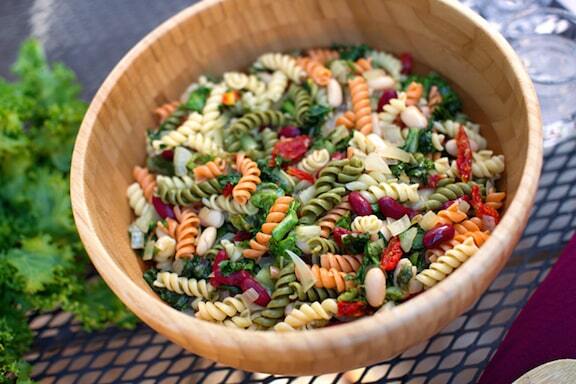 Shown below: Pasta with Two Beans and Escarole. Myth #5: The wheat we eat today is different than that of grandparents due to GMOs. False: Today’s wheat grain is not much different than it was 50 years ago, according to Joseph A. Murray, a professor of medicine at the Mayo Clinic and the president of the North American Society for the Study of Celiac Disease who has also studied wheat genetics. Genetically modified (GM) wheat is not commercially grown in the United States, in line with European and worldwide wheat producers. And, in response to concerns that today’s wheat contains more gluten, USDA researcher Donald Kasarda, who has been studying wheat genetics for decades, found that gluten content in wheat has not in fact increased. … And we have one more myth of our own to debunk — isn’t pasta made with eggs? Readers ask from time to time, doesn’t pasta contain egg, and is therefore not appropriate for the vegan diet? Unless it is specifically egg noodles, or freshly made pasta in certain upscale restaurants, pasta generally does not contain egg.